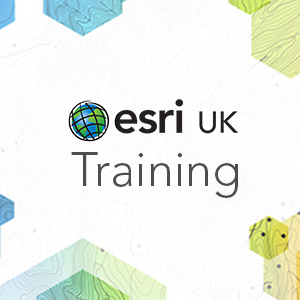 This course follows on from the ArcGIS 1 – Fundamentals of ArcGIS 10.x for Desktop course and is aimed at users who need to understand more about the management and behaviour of a geodatabase. It is a pre-requisite for attending the Deploying and Maintaining a Multiuser Geodatabase course. Similar content could also be learned by attending the ArcGIS 2 and ArcGIS 3 courses instead. The Introduction to the Geodatabase course will take the user through the process of creating and populating a file geodatabase. This will include creating, importing and manipulating vector and, raster data. It will also cover creating attribute and spatial validation rules (behaviour) and working with geodatabase annotation. Some of this behaviour requires an ArcGIS Standard or Advanced licence. Examine the different types of geodatabase. Explore geodatabase design and understand schemas. Create feature datasets and feature classes. Convert tabular data to points. Manage raster data in the geodatabase. Adjust data to fit into correct position (Georeferencing / Spatial adjustment). Create subtypes and domains (attribute validation). Create a simple relationship class. Create, use and edit topology (spatial validation). ArcGIS 1 – Fundamentals of ArcGIS 10.x for Desktop is a prerequisite for this course.